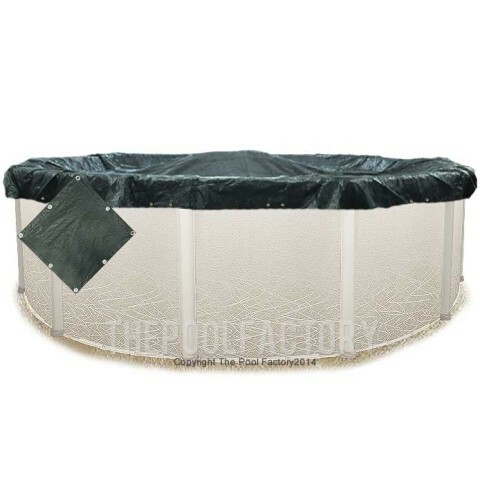 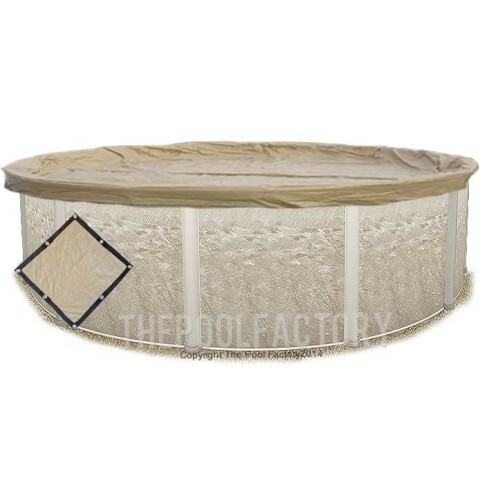 Our winter pool covers are made of strong triple-laminated polyethylene. 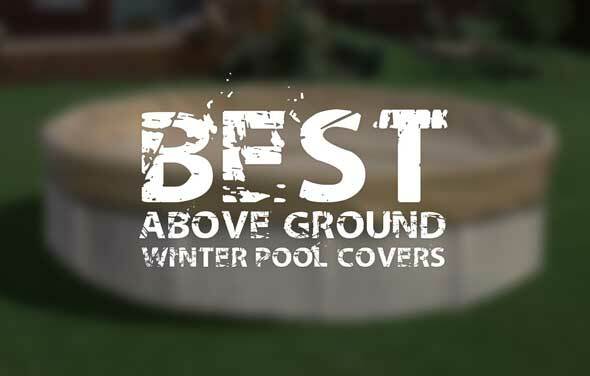 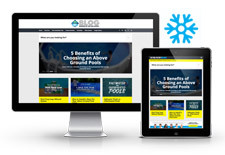 They are durable and tough enough to withstand a cold and long winter season. 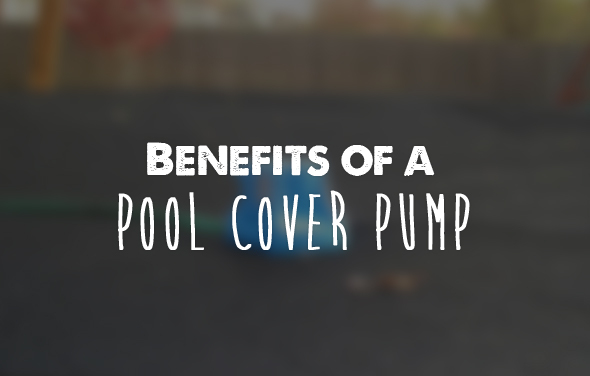 Our covers are highly resistant to punctures, tears, chlorine stains and other chemical stains. 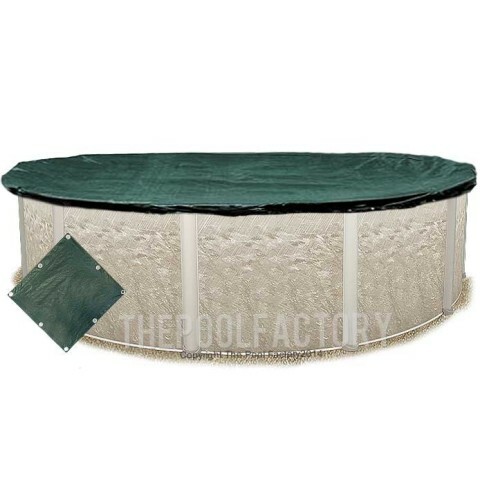 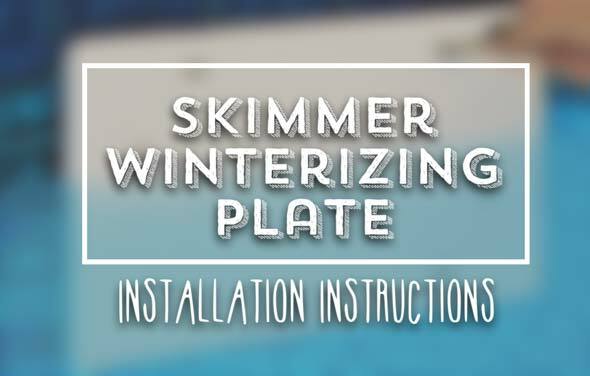 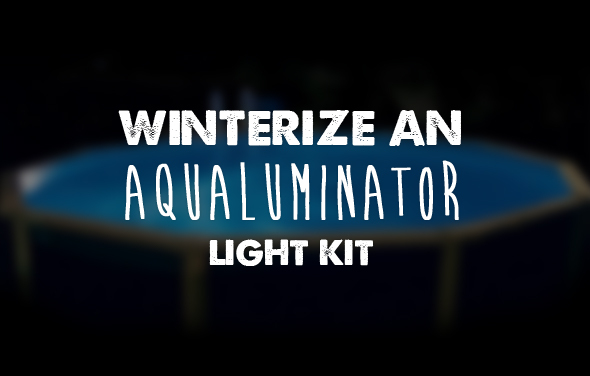 All of our winter pool covers include a cable and tightening device to easily attach to your above ground pool. 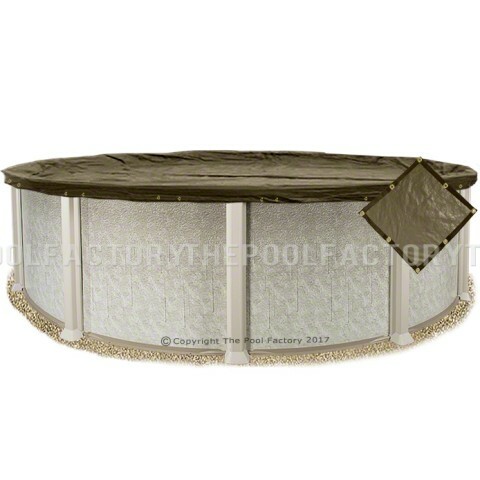 Additionally, these covers are not bulky and can be easily folded up and stored for seasons to come.